What Are Privacy Mini Blinds? 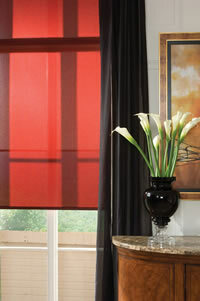 You will notice that there is no routed hole.Privacy mini blinds are made with 7-gauge aluminum. 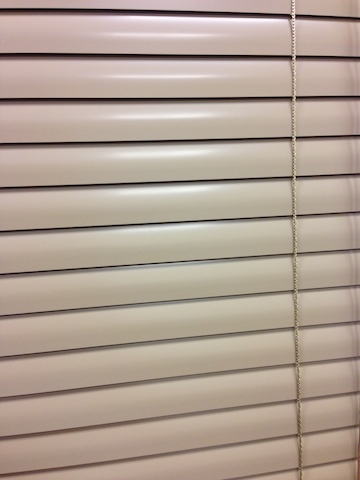 Privacy mini blinds are not routed down the center of the slat, but are notched on the back of the slat; the cord is threaded through this notch instead of through a routed hole. This means that there will not be a slot in the center of the slat that will allow light to come through, and will not obstruct your privacy when your mini blinds are closed, since there are no openings for someone to look through. Summertime is here, and the sun is about to start beating down on your windows. Discount mini blinds may be your best solution. Anyone trying to redecorate on a budget needs to look at vinyl mini blinds. They are a little more expensive than aluminum mini blinds, but their durability makes them well worth the price. When you hear miniblinds, do you think of those hideous looking plastic things from the 70’s? If so, then boy will you be surprised at how far miniblinds have come in the last 40 years.